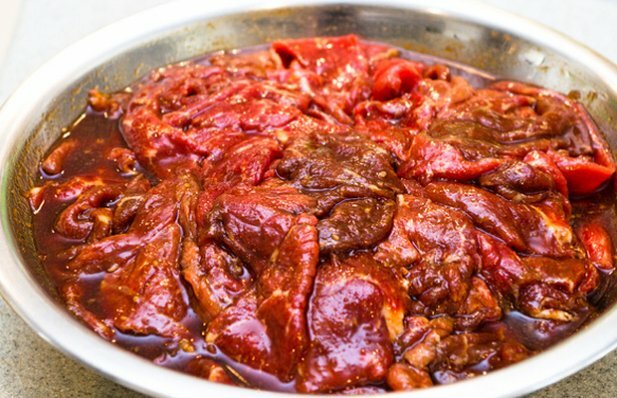 Portuguese marinade (vinha d'alhos) for pork or beef recipe. Please adjust the amount of ingredients by the amount of meat you are going to marinate. You will need enough to cover the meat. Put the meat of choice in a dish or bowl. Mix all above ingredients and pour over the meat. Place it in the refrigerator for a few hours or overnight, make sure to seal the bowl with plastic film.